Damn, I am not keeping up. 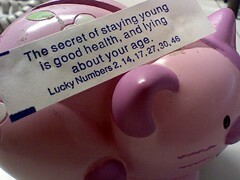 I don’t think my health is all that great and I never lie about my age. That one scared me a little. But I kept it.